Each chapter of this sponsorship ebook focuses on a key message or skill development and provides you with a wide variety of tools and skills. 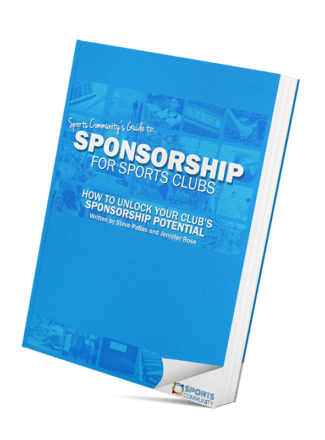 This ebook will help you create your club’s sponsorship plan and proposals, and help your club achieve its sponsorship objectives. This ebook has been designed for the volunteers of local sports clubs, covering both fundamental concepts and more complex sponsorship strategies. It will go into important aspects of sponsorship including how to value your assets – so you know how much to charge! Also, you will learn how to nurture these relationships with sponsors, so they come back next year. We hope you enjoy the journey of reading this sponsorship ebook as much as we enjoyed bringing it to you. Don’t forget, we are always here to help. Once you have finished the ebook we have lots more resources that you can use to help out. Plus, subscribe to our newsletter for more tips all through the year, on grants but also every other aspect of running your club! Got a question about this book? Email us at admin@sportscommunity.com.au for more information.